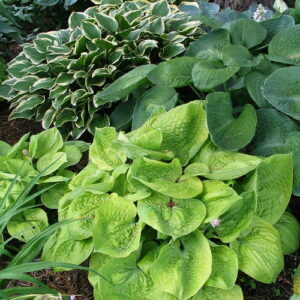 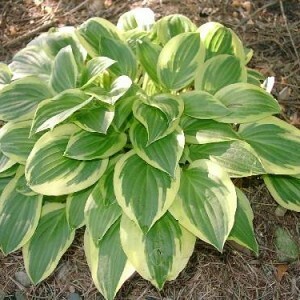 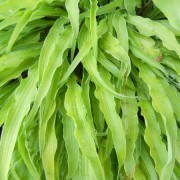 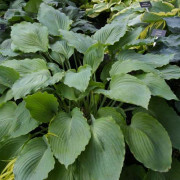 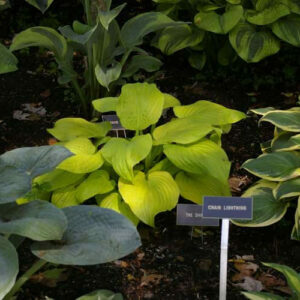 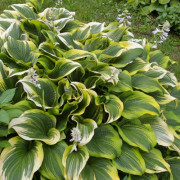 T Rex Hosta – Registered in 1999 as 'Tom Rex'. 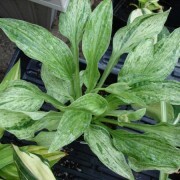 Changed in the AHS 2005 Registrations to 'T Rex'. 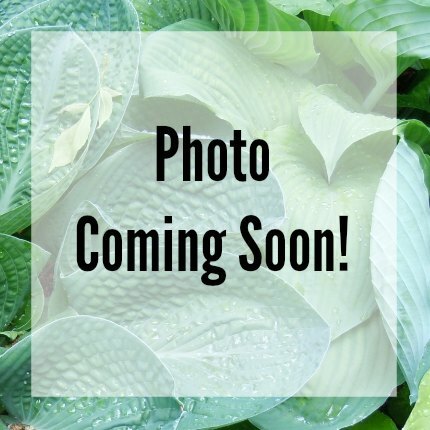 Very Large: Huge 36″ x 90″ mound; large 18″ x 15″ medium green heart shaped leaves. 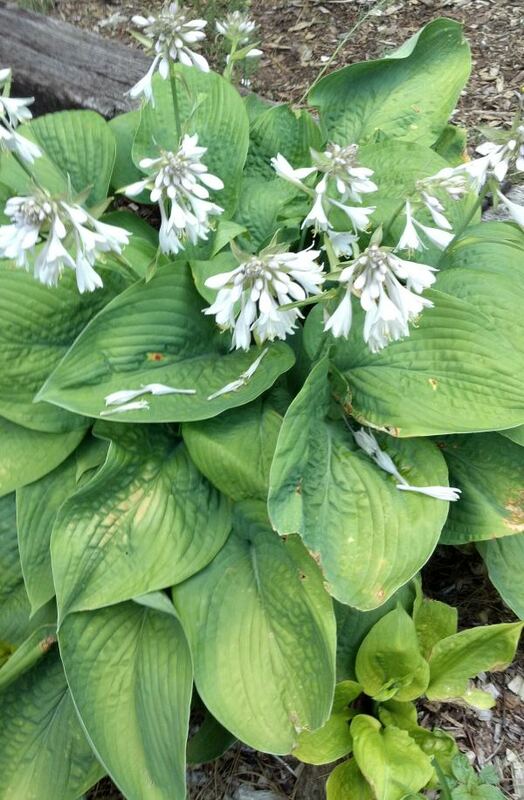 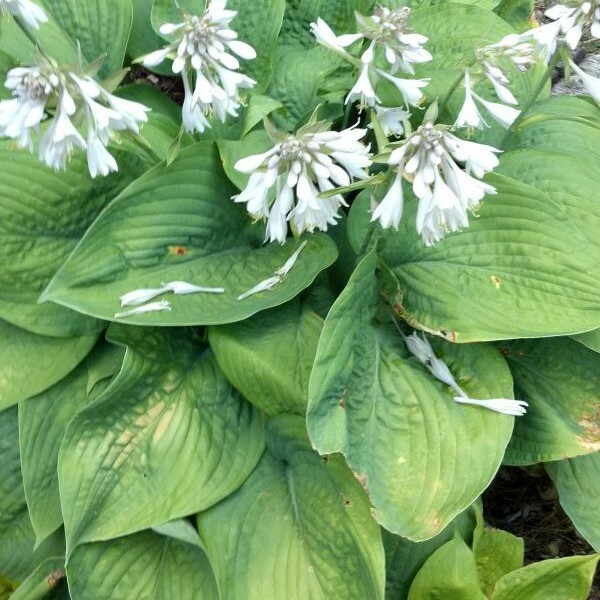 Near white flowers appear in June.